Spa Week is a week where participating spas offer various services for $50. Its only a week, and places fill up very fast.. so reserve your spot! hollywood forever cemetery: 6000 Santa Monica Boulevard at gower [map] The first 200 people in the photo booth get handmade chocolate bars made by Unicorn Magic Baking co. One of the bars has a golden ticket for a special prize!! Classic children's fantasy starring comic genius Gene Wilder. A visual treat, this movie is filled with wild and imaginative sets, colorful characters and of course, mountains of candy. Charlie is a poor boy who becomes one of five winners of the golden ticket, a special pass which brings him inside the wondrous and mysterious factory of Willy Wonka. Only one of the winners will win a lifetime supply of chocolate, and as they tour the factory, they are eliminated one by one. Come take a tour of the chocolate factory with us! Tomorrow is Sample Saturday! Head to your local Nordstrom store tomorrow to receive a free sample of the mojito-inspired Giorgio Armani 'Acqua di Gioia' for her. The perfect fragrance for summer, this new scent is a sensual blend of crushed mint leaves warmed by brown sugar and mixed with the zest of Italian Limone. While supplies last--no purchase necessary! http://tinyurl.com/258jtkh Pls RT! Offer valid only on 8/19/10 at participating Jamba Juice locations towards the purchase of one sixteen size Coffee Craze™, Matcha Green Tea Blast®, Mocha Mojo™ & Chill-icious Chai™ smoothies. Limit 1 per person. Offers specifically not valid at Safeway, Vons or Pavilions locations. Not valid with other offers or discounts. Not valid for Jamba Juice employees. ©Jamba Juice Company 2010. 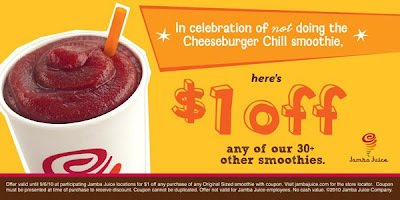 Jamba Juice Summer Savings (and a $1 coupon)! Use this coupon when the Gap is having their additional 30% off from August 26-29 AND use the"groupon" and get a $50 gift certificate for just $25. Hurry, this deal is just one day! Mark your calendars for the Old Navy, Banana Republic, and The Gap Give & Get Sale! You’ll be able to take an Extra 30% off your entire purchase 8/26 – 8/29 with this coupon!! Thanks Frugal Girls for the heads up! Click here for a printable coupon Thanks Fastfoodmaven for the heads up! http://tinyurl.com/258jtkh Pls RT! Sign up for your coupon for a free Snack Plate at Starbucks! Click this link and get a coupon by mail. One per household. Only good until the end of August, California residents only and while supplies last. More Info Ruby's is throwing an end-of-the-summer pier party! And you're all invited. 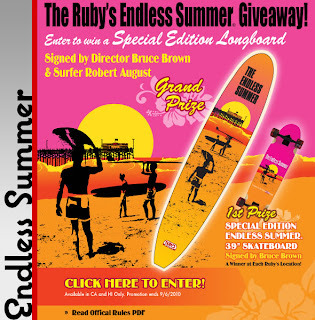 Ruby's Diner is hosting a cookout and movie screening of the iconic surf movie "Endless Summer." The event is free and open to the public and the perfect way to end the summer. Enjoy an outdoor movie screening at the beach, under the open sky with crashing waves in the background. Bring chairs, pillows and a warm blanket. Polly Pies August specials- meals with free Malihini pie! 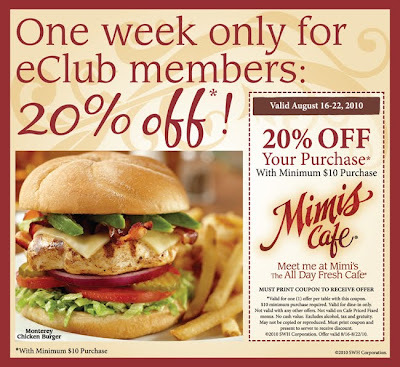 Save 20% off at Mimi's Cafe (Aug 16-22). 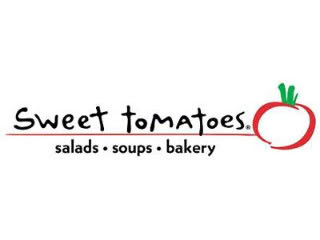 For the month of August and September, their web site is promoting different themed flavors from around the world, and money saving coupons of 99 cent kids meal or feed a family of 4 (2 adults, 2 kids) for $19.99. To view the promotion, click here. August 1-14 is Italy. Click here for the coupons. August 17-29 is Asia. Click here for the coupons. September 1-14 is Greece. Click here for the coupons. September 17-29 is Mexico. Click here for the coupons. If you send a photo postcard, you can also save 10% off your next meal. Or sign up for Club Veg and get year round saving coupons. ALL YOU CAN EAT NUGGET DAY is BACK! 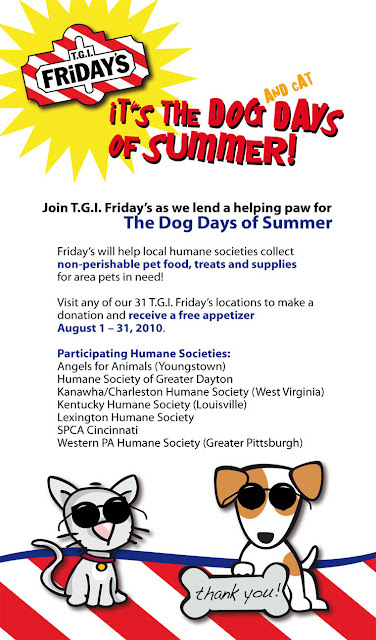 This FRIDAY, August 20, 2010!!! 11:00 am - 2:00 pm and 4:00-7:00 pm! *$9.99 gets you all you can eat nuggets, fries and drinks! No to go orders, and no sharing! Each person must pay, no sharing allowed. Dine-in only and must be eaten in the store, no orders to-go (except if we refresh your drink on the way out of course!). Exclusive for SoCal Residents: Get 6 months of visits for $14 less than the price of General Admission. Come back for 6 months to see the all-new King Kong 360 3-D, Special Effects Stage and expanded Studio Tour! This offer is available online only! Or, Enjoy 12 months of admission for $74 (that's only $14 more than the 6 Month Pass). Your first visit must be made on or before September 26, 2010. Your pass will be valid for 12 months from the date of your first visit. You’ll also receive exclusive Annual Passholder member benefits and special offers. Black-Out Dates apply after first visit. Click here to compare the passes. Southern California Residents --Universal is also providing So Cal residents "payment options" just like Disneyland. Our FlexPay option gives you the convenience of purchasing an Annual Pass with one low down payment of $25 while spreading the remainder of your total over the next 11 months, interest and finance-charge free! Click here to learn more! Hungry Bear Restaurant (not to be confused with the one inside Disneyland) has been in Fullerton, CA since 1973. They have $5 lunch specials from Monday to Friday, and occassionally even on weekends. They also have daily specials (my favorite is their Corned Beef & Cabbage on Sundays for just $9.95). On Mondays they have select menu items for half off. For more information, click here. It is not a big restaurant, and a lot of seniors frequent here, but the food is good and comforting. Hungry Bear is located at 2219 N Harbor Blvd, Fullerton (cross street is Bastenchury, near St. Jude's hospital). 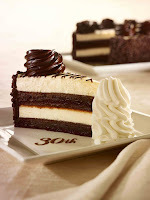 Donate $5 or more to Feeding America through our website and receive an e-Slice redeemable for a complimentary slice of cheesecake. Donate now and help fight hunger in America. Click here or visit their web site to get started!